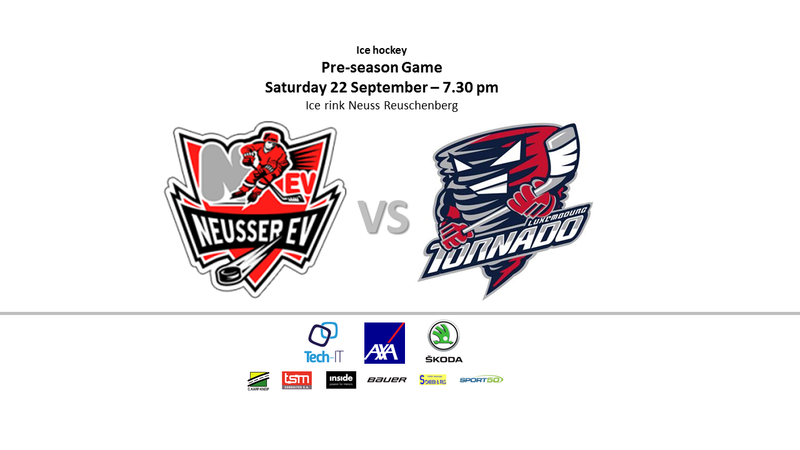 This Saturday Tornado will travel to Neuss to play a preparation game against German 4th division team Neusser eV. The motivation for the game comes from Neusser’s coach Boris Ackerman who is known by many Tornado players. Tornado’s media team had the chance to change a few words with Boris about the game. “I wanted to compete against a strong team with good skaters that is well organized”, Ackerman explained. “I know you guys, you have many talented players and you know each other for years. I’m also big fan of your coach.”, he continued. Just like Tornado, Neusser also practices 2 times per week. The difference is that they play 40 games during the regular season while Tornado plays only 14. Also, Neusser has been on the ice around one week longer than Tornado but they have already played 4 preparation games. The other Luxembourgish team, Beaufort, has played in the past in German 5th division with good results. So there we have a bit comparison about the level. “I’m excpecting to have a tight game. And yes, let’s have a beer after the game!” Ackerman finished. Written by Teemu Hinkula, 19/09/2018 21:52.